You want to go kayaking but don’t have the space to store it or a large vehicle to put it in or on to get to where you want to go. There is a solution to your problem. 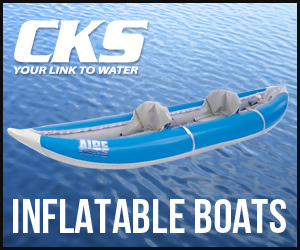 Inflatable kayaks are easy to store, easy to transport, and most of all easy to have fun with. Below is a review of some kayaks that may be just what your looking for. Lets start out with the Intex Challenger K1 Inflatable Kayak. The Intex Challenger K1 Kayak is sporty and fun and has a streamlined design for easy paddling. It is light weight, compact and easy to assemble. It comes in a bright green color with sporty graphics. The color makes the kayak very visible when on the water. The perfect spots to enjoy this kayak is on lakes and mild rivers. Features include: Boston valve, inflatable floor, grab lines on both ends, cargo net, removable/adjustable seat and inflatable seat with a backrest. Approximate dimensions are 9 feet x 2 feet 6 inches x 1 foot 1 inch when inflated. It does have a max weight of 220 pounds. The Challenger K1 Kayak includes one 86 inch Aluminum oar, high output pump and a repair patch. This kayak has great reviews from those that use it. You are thinking, but I would like to have an inflatable kayak that two people can use at the same time. The Intex Explorer K2 Kayak, 2-Person Inflatable Kayak is the kayak for you. You and your partner will be able to enjoy more outdoor adventures with the Challenger K2 Kayak. It is made with a strong vinyl material to ensure it is sturdy enough to handle rugged river waters. It comes in a bright yellow to be more visible on the water. This Challenger Kayak is designed to hold two people with a max 400 pounds at one time. The kayak has a comfortable and adjustable backrest to keep you upright. It comes with everything you need for your adventure to your favorite lake or river. The Intex Challenger K2 includes aluminum oars, front and back grab line, cargo net and more. It also comes with a fast action hand pump that helps you deflate and re-inflate it as needed. This will come in handy when you want to go from one lake to another. If you are going alone or with a partner these 2 different kayaks will be something that is easy for you to transport to the lake and store at your home. If using the hand pump is not your thing then there are battery operated air pumps that can do the job for you. Now get out there and have some fun.